iPhone Upgrade Program Worth It? TL;DR Apple’s iPhone Upgrade Program is actually a good deal if you plan to upgrade to the latest iPhone every year. 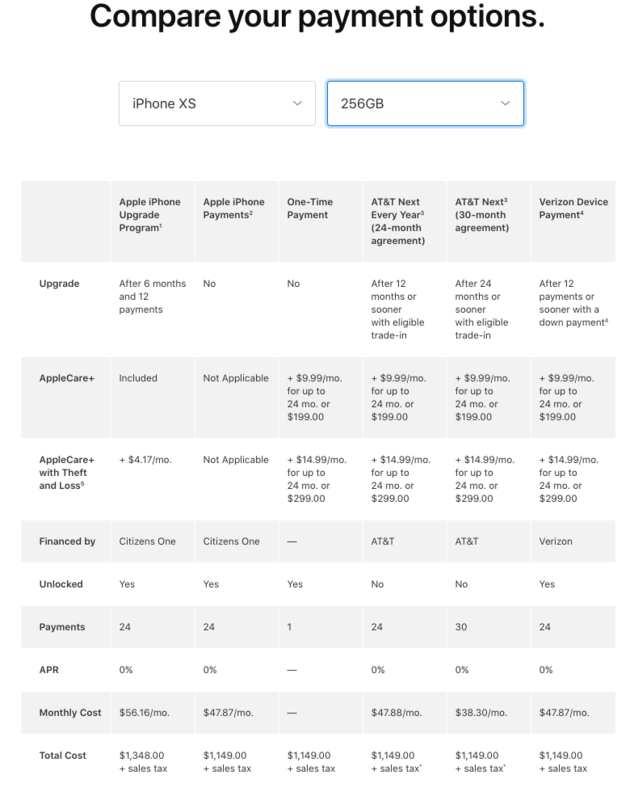 Here is the breakdown of each option if you were to upgrade to the latest iPhone every year. If my calculations are correct, it looks like if you are planning to upgrade your phone every year, the iPhone Upgrade Program is actually a pretty good deal. For the past several years, I have always gone the cheapest route with no insurance. I’ve had some bad experiences with Verizon insurance and vowed to never pay for it. What sold me on AppleCare+ is the $29.99 screen repairs. Without AppleCare+, it cost $279 to replace the iPhone Xs screen. One crack and AppleCare has paid for itself. Of course, you could save money by keeping your device multiple years, but for me, I’d prefer to have the latest device. What are your thoughts? Have you tried the iPhone Upgrade Program? Leave a comment below. Will iPhone X cases work for the Xs?